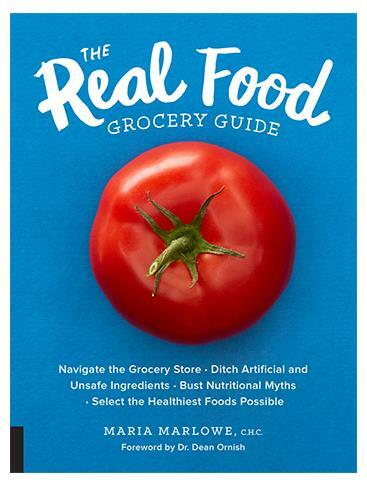 She’s a health coach with an important new book, The Real Food Grocery Guide. It’s got four parts: Making Smart Choices; Plant-Based Whole Foods; Animal-Based Whole Foods; and Packaged Foods. What is good, healthy food and why does eating it matter? Tips, resources and money-saving ideas and other bonus bits pop up throughout the book. Here’s one: look at the four or five digit code on the produce sticker. A code that begins with “4” means the item was conventionally grown. “8” means it was organically grown. Charts show what produce colors reveal about the item’s health benefits; what’s in season when; and what earned the highest and lowest pesticide toxicity rating, as reported by the Environmental Working Group (EWG). She dispels the idea that healthy food will bust your budget. The Plant-Based section is the heart of the book. It details what we need to know about produce; grains and legumes; beans and soy; and nuts and seeds. It defines buzzwords (e.g. 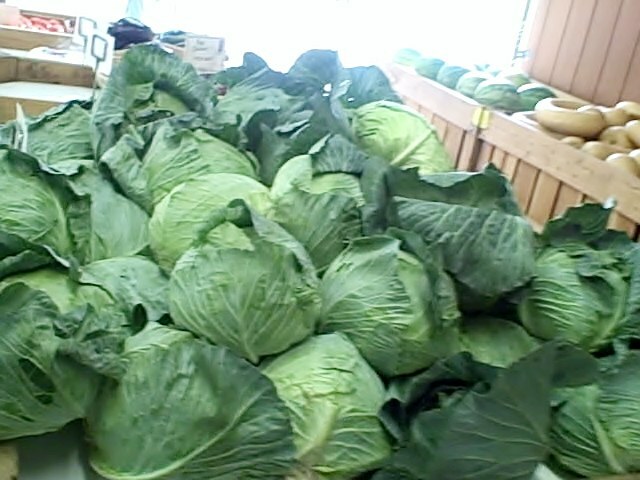 organic, natural, local); and describes benefits and concerns. We meet 50 of the most common fruits and vegetables. There’s a brief “bio” for each and advice on how to store, and prep them. For some, it names the most and least nutritious varieties. Picking a pineapple? Profuse illustrations, and diagrams help. There’s more: grains, legumes, nuts and seeds. Perhaps the only thing missing is a list of the best forests for foraging nuts, berries and seeds. There is a brief animal-based foods section. It includes useful dairy information. Your flesh-eating friends won’t love it but they’ll certainly need its guidance. (e.g. “The World Health Organization classifies red meat as a possible human carcinogen, so you may want to consume it sparingly.”) To be fair, in keeping with the book’s main thrust, Marlowe tells the carnivores who walk among us how to make the healthiest possible choices. And what about that grocery gremlin— packaged foods? Altogether now: No you can’t have that. Put it back! Au contraire, baby. Maria Marlowe assures us that “not all packaged goods are junk” and we can emerge victorious with the healthiest available options. She defines terms (including certifications), demystifies the Nutrition Facts Label, and lists 12 controversial ingredients to avoid. Also in this section is a discussion of GMO, a list of pantry staples (what is and isn’t good for us) that includes lengthy info about oils and sweeteners, a frozen food aisle (including the top five frozen foods to stock up on and the top five to avoid, a tiptoe through healthy snacks and sweets (scout’s honor), and a quick gulp of beverages (complete with a five best and worst list).It’s 2017. Shouldn’t all decent, grocery-shopping individuals be wise to the many snares and deceits food marketers place in our paths? Perhaps it’s a shame that this information is needed. What good fortune to have this clearly written, friendly, easy to use, well-researched book now.